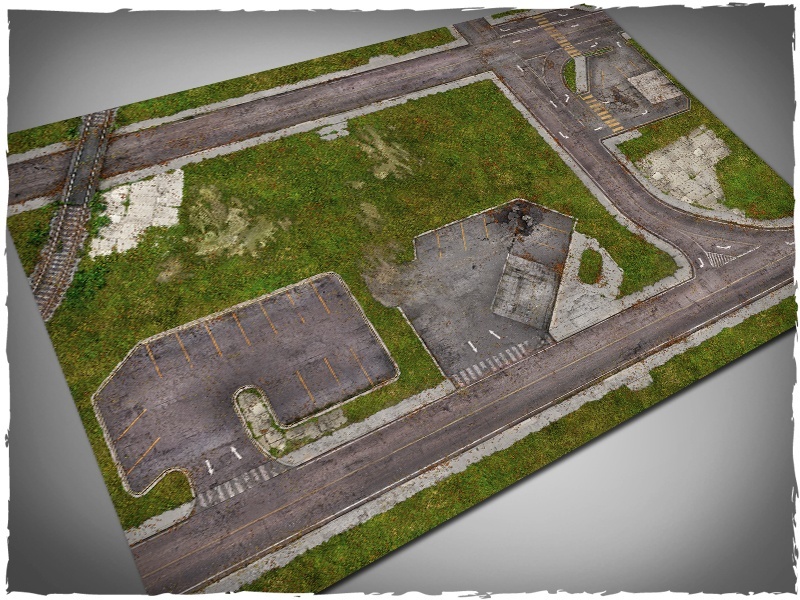 Warlord Games tends to run the whole gamut of times for their games. 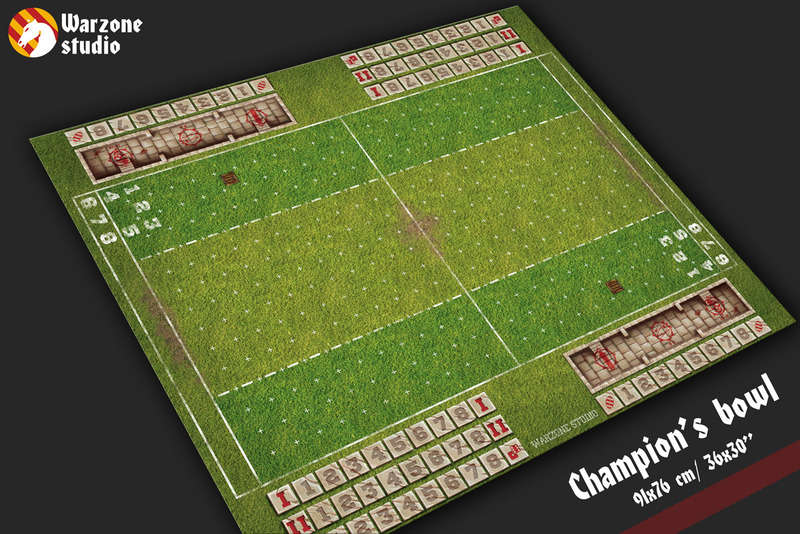 Hail Caesar is their game that spans the most. 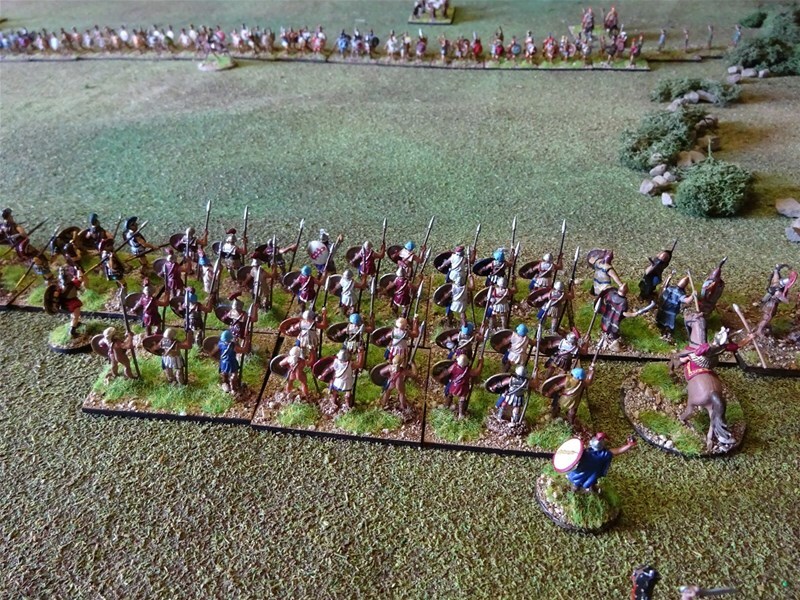 Here, you've got armies as "modern" as Ancient Rome, but it goes all the way back into almost pre-history. 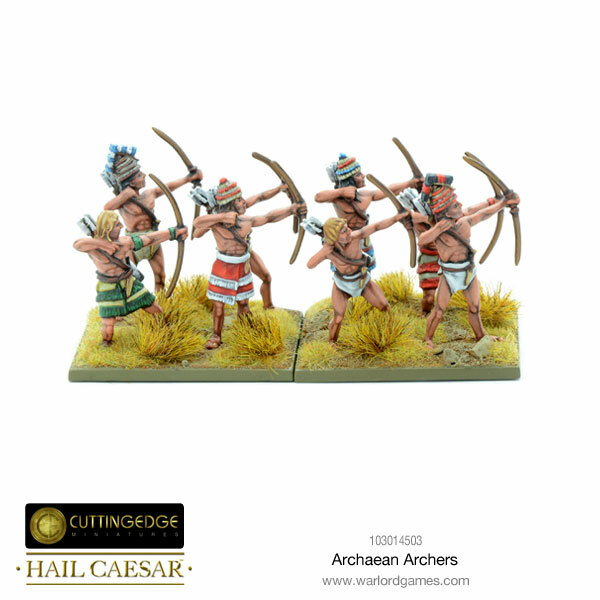 In this case, we're setting the Wayback Machine for the Bronze Age, with new Achaean archers as well as Libyan and Nubian melee warriors. For many hundreds of years, warfare was practiced in a certain way in the Western world. 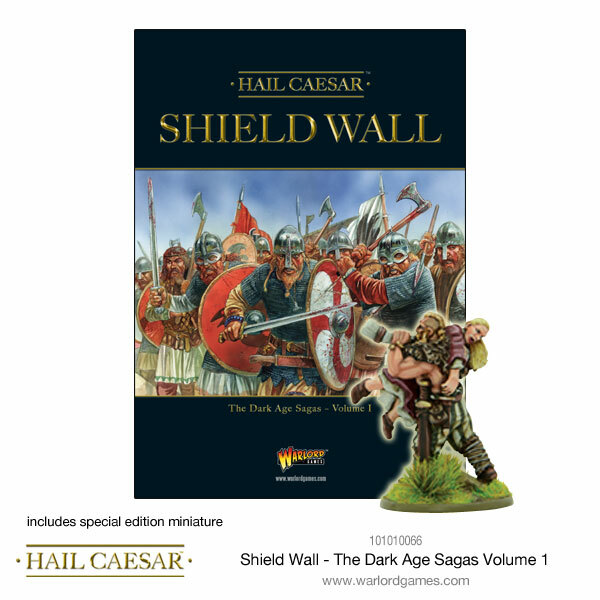 Armies of soldiers lined up shoulder-to-shoulder, with a round shield in front of them and a long spear in hand. The phalanx was the ancient world's version of the tank, essentially. And even as military advancements came along, the idea of standing shoulder-to-shoulder stuck for quite a long time. 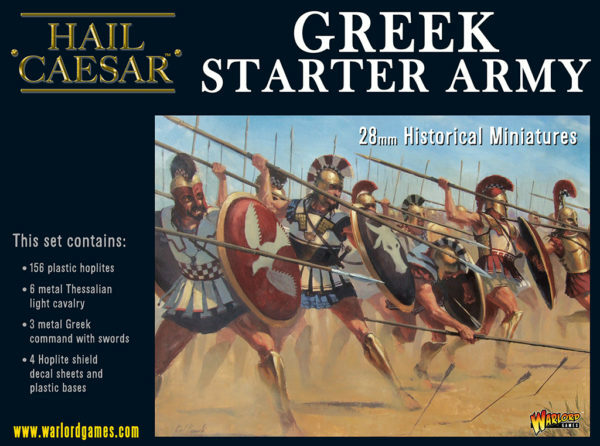 Well, if you're wanting to get back to war's roots, you can with these new starter armies for the Greeks and Spartans (yes, I know that Sparta was part of Greece, but look, I don't name these things. Plus, the various city-states really didn't consider themselves one country (far from it, in fact), so there's that as well) for Hail Caesar. The floodgates have opened. 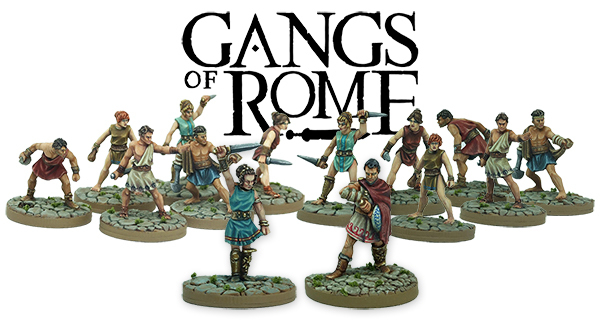 With the release of Gangs of Rome from Warlord Games, players are able to take to the streets of the ancient city with their own set of characters, looking to claw out a bit of power for themselves. 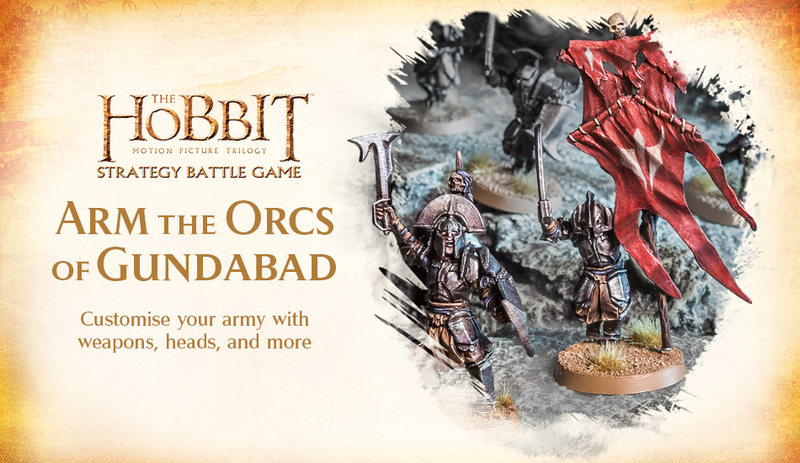 You've possibly already picked up the starter set, but what about adding to it? Well, that's where this post will come in handy. 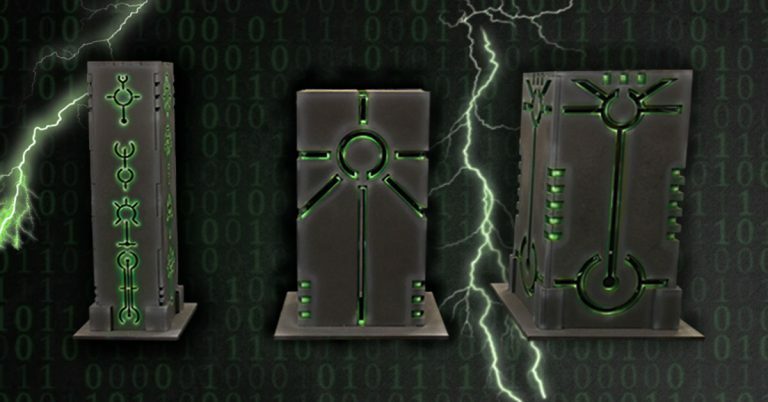 There's more than a dozen new models and model sets you can pick up over in Warlord's webshop. Roman conquests spanned more than just the area around the Mediterranean. They took over much of continental Europe and then made eyes at the isles just across the sea. The British Isles seemed ripe for invasion. However, all the Brits living there at the time didn't quite see it that way. 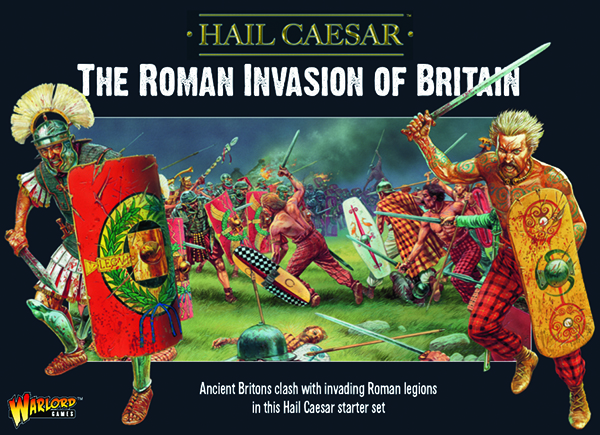 There was much fierce fighting that you will soon be able to bring to your tabletop with the Roman Invasion of Britain set for Hail Caesar, available for pre-order now from Warlord Games. Early warfare was pretty simple (relatively speaking). Take a stick. Attach something really pointy to the end. Throw at the enemy. In a way, we're not really all that different now (just the points don't have to be as sharp, or the sticks as big, because we make those things go really, really, really fast). 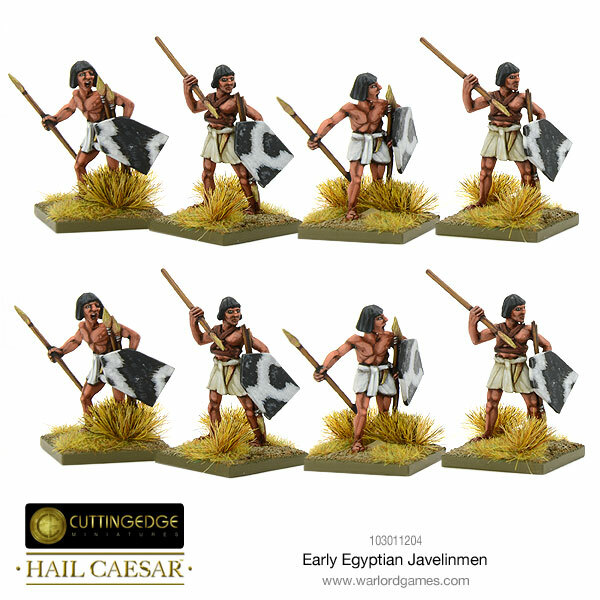 But if you'd like to have your warfare at throwing distance, Warlord Games can help with some new Egyptian and Nubian Javelinmen kits. The New Year will be here in less than a week. 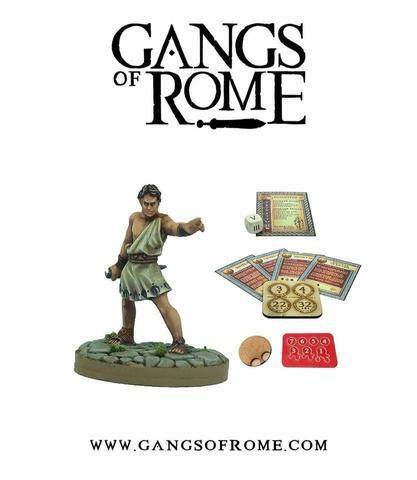 One of the new releases that's been tarnering attention is Gangs of Rome, the new skirmish miniatures game set in... well... Rome. The once-great Roman Empire has decayed down to the point where various gangs are ruling the streets. The strongest gangs are able to get their financial backers into the Senate, but it's going to be a tough fight. 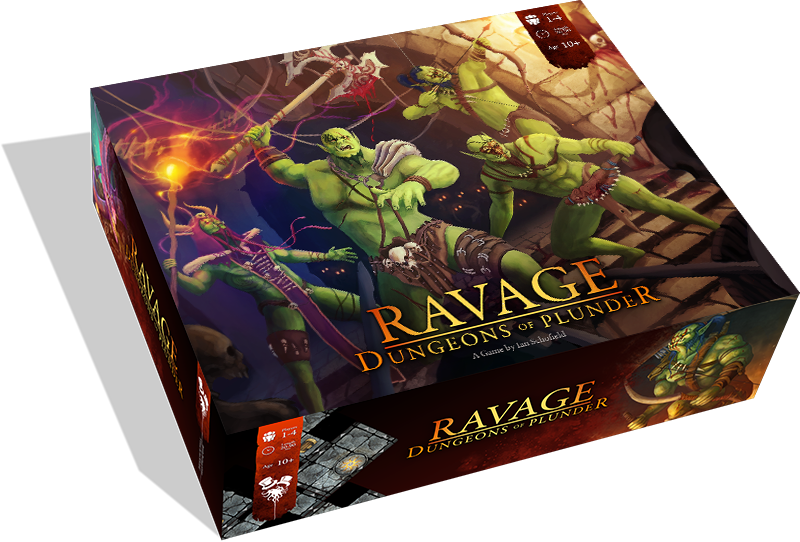 Pre-order your gang now and be the first gamer on your block with these figures next month. Want to know how it plays first? Download the rules for free. The Roman Empire has been around for hundreds of years. However, the glory of the empire has faded. Now, noble houses hire the toughest citizens they can find in order to fight for them in the streets. The winners are bound to get a seat in the Senate. But how much blood must be spilled in the meantime? 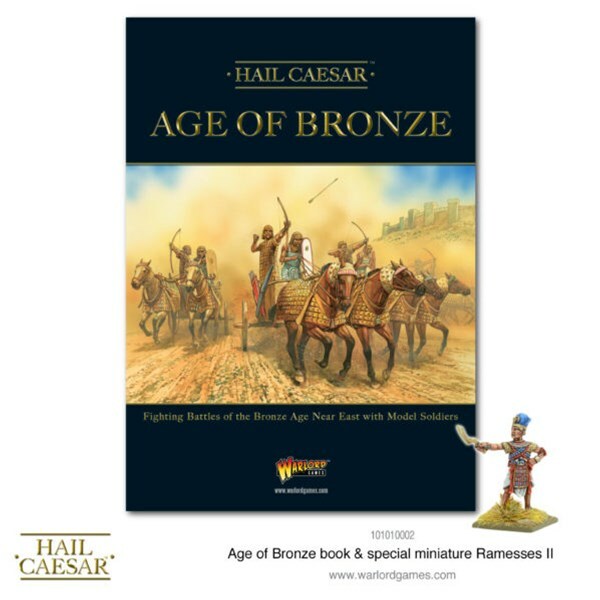 That's what you'll have to figure out in Gangs of Rome, a new historical miniatures skirmish game available to pre-order from Warlord Games. Been reading a lot of Scandinavia and the World lately, so I've had Vikings on the mind a lot recently. 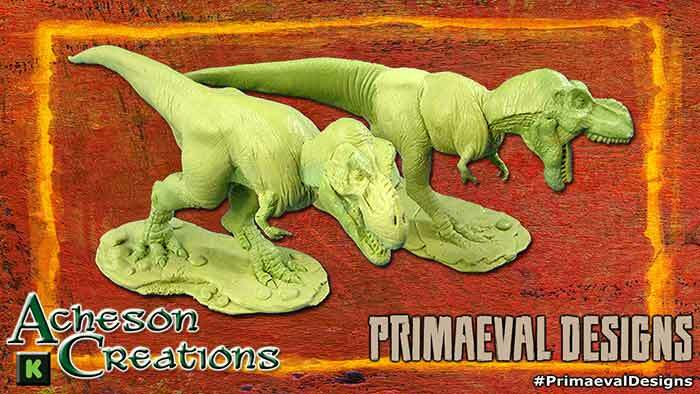 Well, they've been on the minds of the guys at Warlord Games, too. 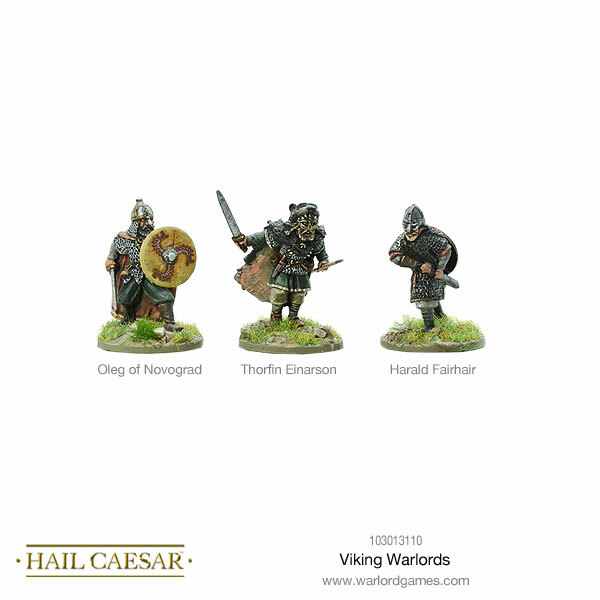 They've got several new sets available over in their webshop, including Hirdmen as well as Warlords (Huh... warlords from Warlord Games... Seems appropriate). Is the week going by fast for anyone else? I woke up this morning and was like, "whoah... it's already Wednesday!" I guess being busy will do that for you. Monday was All the News! Yesterday was more news, a regular meeting, and then working on a new article. Today's heading along at a good clip, too. If I'm going to keep up this pace, I need to snack on some bite-sized gaming stories. 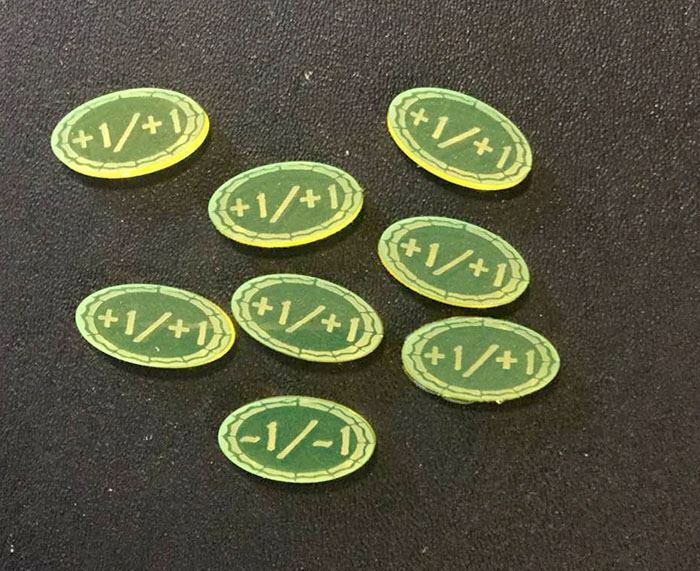 Today on the platter we have: New 6mm armour releases from Khurasan, New Enclave Markers Available from Kromlech, Macedonian Greek Successor Heavy Cavalry Available From Victrix, Orc Green Baron Available from Kromlech, and Final Week For Circle of Blood: The Miniature Game Kickstarter. One of the biggest empires the Earth has known was that of the Romans. They turned the Mediterranean into their own, private lake and pushed far up into Europe with their conquests. There, they found all manner of tribes they simply called "barbarians." 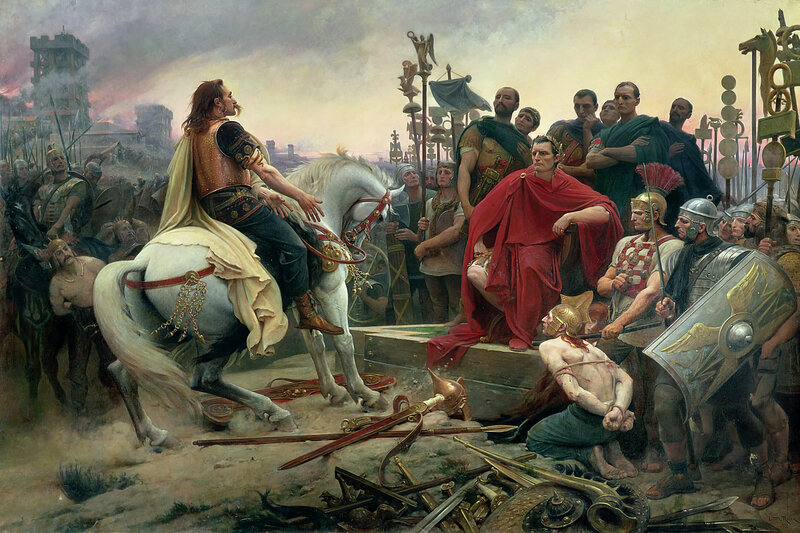 For hundreds of years, the Romans and these barbarians had... disagreements over who was in charge of what bits of land, and so there were quite a few wars that were fought. 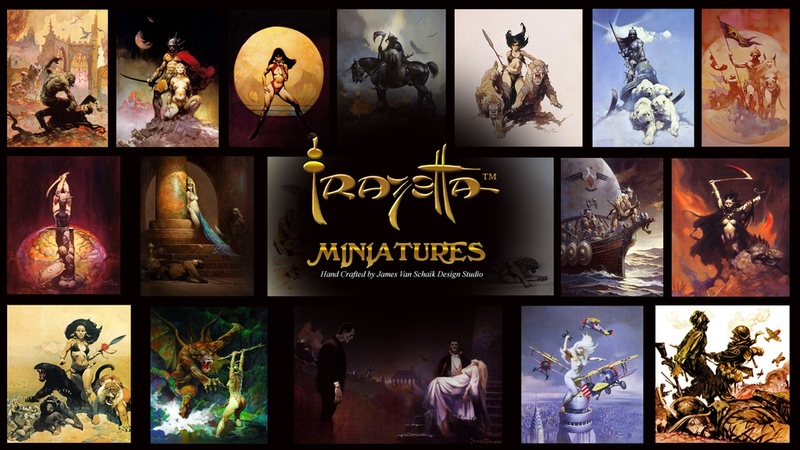 Now, you can bring those wars to your tabletop with Bella Contra Barbaros, a new set of miniatures rules from Grand Manoeuvre. The week continues to just crawl on by. Man, I've not felt a week has taken this long for quite a while. I feel like I should be typing up the Friday Snippets instead of the Thursday Terrain Corner. But here we are. What do you suppose the chances are that the weekend will be like that? Where Saturday afternoon I'll be going, "Geeze! Isn't it supposed to be Monday by now!?" Probably very low. 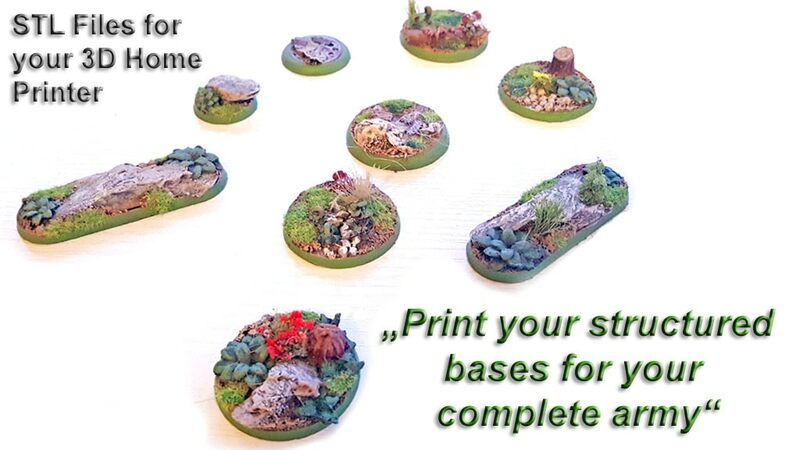 But, in the meantime, let's make your gaming tables look as good as possible. Today in the Terrain Corner we have: Battlefront Features Battlefield in a Box: Small Desert Houses, Robot City Obelisks Available From Frontline Gaming, Obelisk and Amphora sets Available From Tabletop-Art, Battlefront Features Battlefield in a Box: Desert Walls, Battlefield Game Mat Available From Pwork Wargame, New Arabian Terrain From Najewitz Modellbau, and New Exotic Locations Terrain From Sally 4th. We're once again at the beginning of the week. 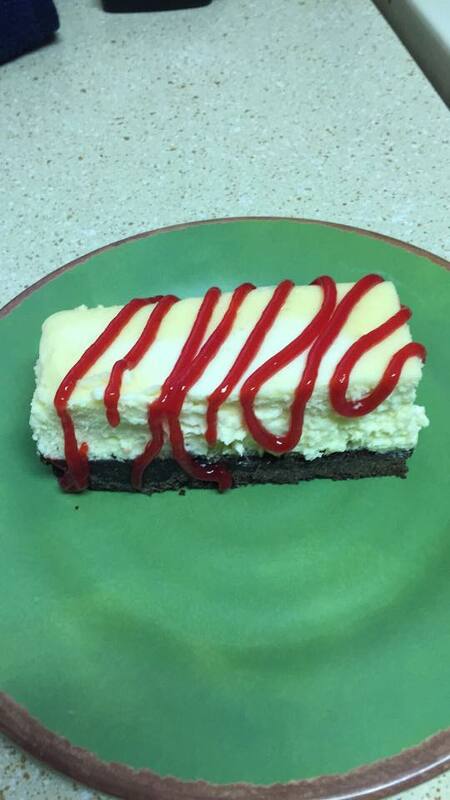 It's ok, though, at least for me, because I have cheesecake with raspberry-lime sauce (I did say I was going to make some over the weekend). That should help tide us over to next weekend, where gaming will be had (hopefully). And if there's going to be gaming, there should be good-looking gaming tables. So let's help with that. 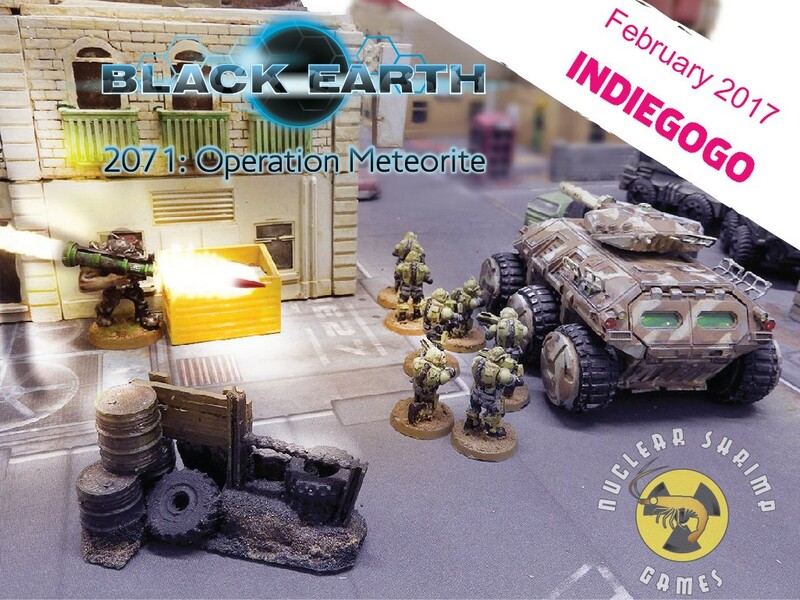 Today in the Terrain Corner we have: New Algoryn Orbital Transmat from Sarissa precision, New wave of 15mm terrains from Terrains4Games, Brigade Models Release 2mm Roman Fort, and Walking Dead miniature game mat release from Deep-Cut Studio.